Unless you’re incredibly dedicated you’re not going to get out for your run when it’s pouring down with rain, despite the fact it is proven to be good for you. If the gym is too far away, or too expensive; then it’s time to consider purchasing your own treadmill, particularly after you’ve read the Life Fitness T3 treadmill reviews. You can use a treadmill for walking or running. It will help you to burn calories, lose weight and feel great. But if you want to do it properly you need the Life Fitness T3 treadmill. This review will show you why we fully endorse and recommend this product to you. 5 star rating on the Life Fitness site. 3 star rating from John Lewis. 5 star rating from Ebay. 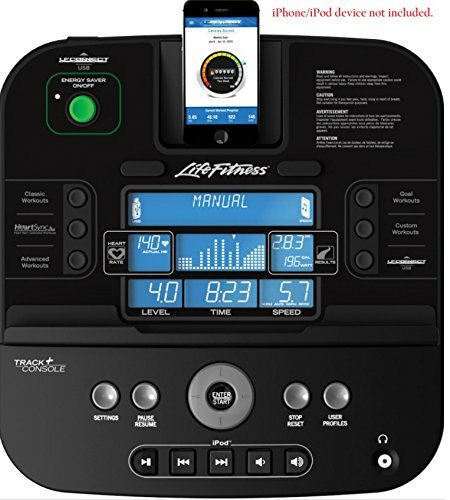 There are 2 console options supplied with the Life Fitness T3. One is “Go”, the other “Track”. The Go console is designed to get you going! It has 13 different workouts ranging from the classic hill to more advanced options like five heartsync. Two users can even add their own profiles and save them. You’ll find a comprehensive list of workout options aided by a quick start function. The track is where the variety comes into the equation. This adds a further 16 programs to your T3 treadmill. Most importantly it allows you to enter manual mode and create your own parameters. You can also connect this mode to an array of apps on either an Android of Apple cell phone. This will ensure that your run always remains interesting; even when it’s pouring with rain outside. It is exceptionally easy to switch between these consoles, just slide one off and the other will slot straight in. It’s worth noting the machine comes with a heart rate monitor. Even though you can also get apps to track your heart rate the monitor built into this machine is digital and is capable of filtering out other noises. It should be far more accurate than many of the heart rate monitors fitted to other treadmills. You can always test it against the one connected to your app. Running is considered to be an impact sport. Every step you take causes your foot to impact with the ground. This provides the potential for injury as the pressure is transferred through your ankles and up your legs. 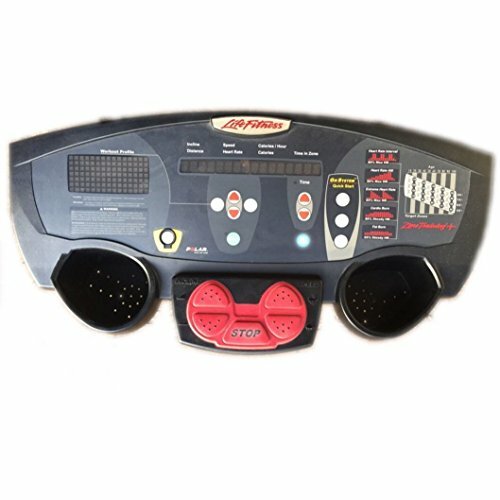 One thing that all Life Fitness T3 treadmill reviews recognize is that this machine has a patented cushioned deck. This is said to reduce the effect of impact when exercising by as much as 30% compared to running on a hard surface like a pavement. That will certainly save your knees and help to reduce the likelihood of injury! Impact generally increases as you run up hill. The incline of the T3 can be adjusted and even automated. When running up an incline you’ll appreciate the cushioned deck even more. The Life Fitness T3 treadmill is fitted with a 3.0 hp motor which offers a peak performance of 6.0hp. The power needed by the motor will depend on your weight and the speed at which you are running. A clever feature on this treadmill allows the motor to automatically adjust to your needs. This is based predominantly on your weight. The lighter you are the less power the motor will use. Effectively losing weight will improve your health and decrease your energy bill! As a point of reference it is capable of handling weights up to 350 pounds. 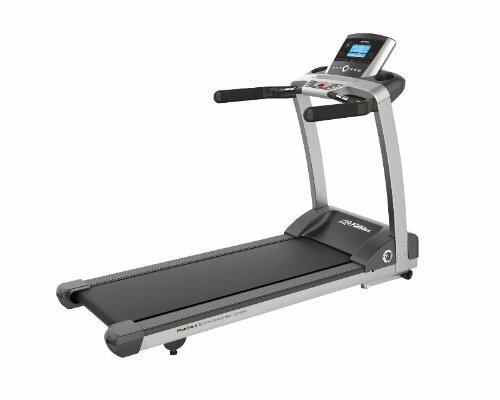 The Life Fitness T3 treadmill reviews all confirm that this machine can actually reduce its power draw when not in use. This is in stark contrast to most machines when left idling. The motor can cope with running speeds of between 5 and 12 mph that should be enough for most runners; especially if you throw in a few hills. Cup holders might seem like a small benefit but it is surprising how grateful you will be for them. It is also amazing how many treadmills don’t come with cup holders. When running it is essential to stay hydrated. This ensures you are able to keep going without damaging your body. However, if you have ever run and tried to each for a water bottle on the floor you’ll already appreciate how useful the cup holders can be. You can even remove the holders and put them in the dishwasher to keep them clean! It’s also worth noting that there are accessory trays in case you need your cell phone handy or a power snack. There is even a reading rack to hold your book or tablet, allowing you to keep busy while running. The miles will literally fly by! Life Fitness T3 treadmill often mention the warranty; this is with good reason. The manufacturers are so confident in the machine that they have made that they are giving you a lifetime warranty against the frame and the cushioning! Even the motor has a 10 year warranty while all electrical and mechanical parts are covered for 5 years. This treadmill is likely to set you back in excess of $2,000 but there is no reason to spend another cent on it for at least 5 years. That makes it a good investment. In fact customers who have used this machine for years have not reported any issues with it so far. This is a well made machine, designed to help you stay in shape with the east amount of fuss. Of course, no machine is perfect and a quick look at the Life Fitness T3 treadmill reviews will highlight the same issues that we’ve have discovered. Unfortunately there are very few pieces of equipment which are perfect. 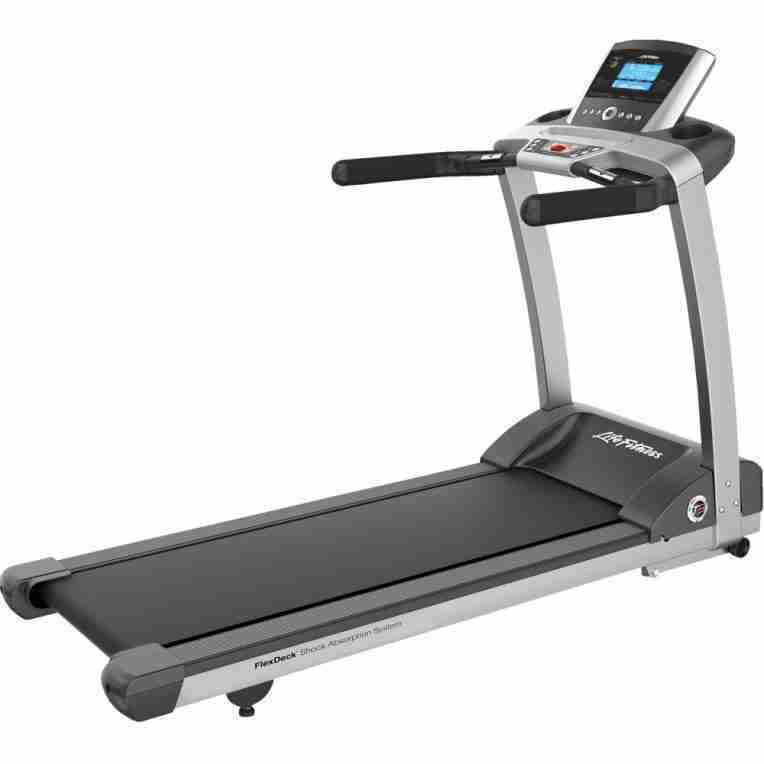 The main drawback of the Life Fitness T3 treadmill is that it has a large footprint. In fact if space is limited you may be better to select the F3, which folds away. The T3 is 79 inches long by 34 inches wide with a deck height of just less than 7 inches. You’re going to need at least 7 foot by 3 foot of space to accommodate it. This is fine if you are building your own gym. However, you may find an issue if you are hoping to squeeze it into your home office. It is worth noting that the T3 is 57.5 inches high although this should not affect your choice of location. The machine also weighs an impressive 243 pounds. This means that your delivery team might not bring it into your house. You may wish to have a few friends available on delivery day! The second drawback is constructing the treadmill, which many customers report to be frustrating! Very few treadmills arrive in one piece so a little construction is expected. However the Life Fitness T3 treadmill is accompanied by a 32 page manual. Over half of these pages deal with assembling your T3. Unfortunately the instructions are not simple to follow and several customers have reported pieces missing. That said, the customer service at Life Fitness appears to be good, replacement parts are dispatched immediately. You can opt to have the machine assembled for you. However at a little under $200 this is an expensive option. Quite frankly it’s difficult to justify this charge. On the plus side once you have it set up you’ll be happy. However considering the weight and the fact that it doesn’t fold; you won’t want to relocate it often. This machine will set you back a few thousand dollars. This is on the high side for an entry level machine. Of course, the fact that it is well built and has a good warranty goes a long way to off-set the price. However, it is a significant investment and one that you should be sure that you are going to use before you part with your hard earned money. You’ll have noticed that the Life Fitness T3 treadmill highlight very little in the way of negatives. While price may be a barrier to some, it is generally worth paying for something that will give you years of service. The construction process is difficult but at least only needs to be done once. Even the footprint should not be an issue if you have done your homework first. 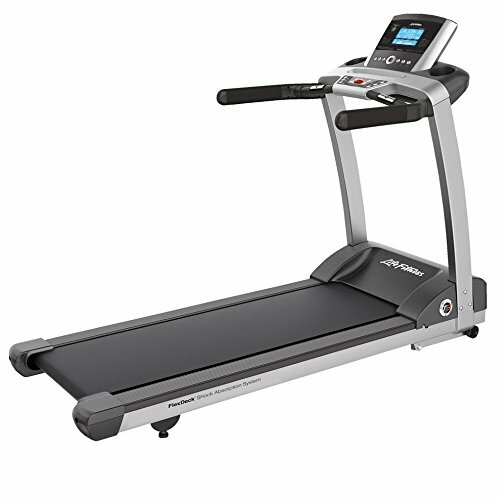 In our opinion this is one of the best entry level treadmills you’ll find. It has a great range of functions, conserves energy and can handle the weight of most people. If you are over 300 pounds you can purchase the larger T5 machine which is wider and designed to handle higher weights. The machine is smooth, quiet and efficient when being used. The warranty provides you peace of mind while the cushioned deck helps to protect your body. Assuming you are serious about exercise and getting in shape there really is no reason to choose a different treadmill. 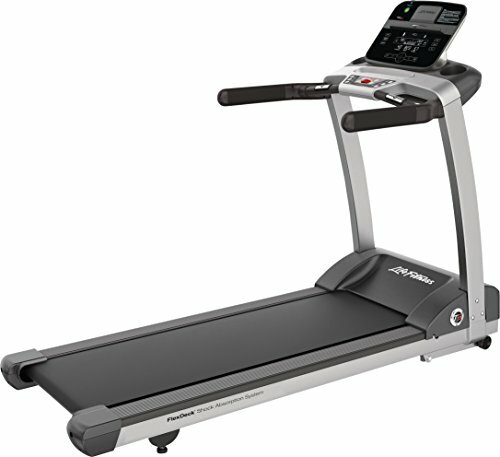 The Life Fitness T3 treadmill will help you to walk, jog and run in the comfort of your own home.